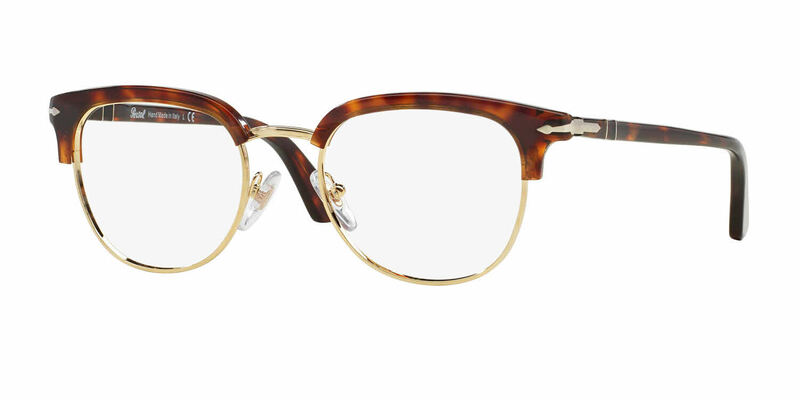 Persol PO3105VM eyeglasses are the classic, retro browline style with a bold acetate section at the top and metal rounding out the bottom. Without a doubt, FramesDirect.com has the easiest, most navigable way to pick frames and all the options, compared to several others I visited. What's more, FramesDirect.com allows you to review your total cost, delete if you want and try another model or different options. I had 2 glitches. The first one I forget to add transitions. I returned the glasses at no shipping charge and got the glasses with a discount included for the transition option. The second glitch I noticed something that I didn't like about the tortoise pattern. FramesDirect.com switched out the frames -- no charge, no hassle. The quality of the lenses is outstanding. The transition function is something to behold -- the very darkest in the sun, moderate dark in the car, jut a tint when inside. Be sure to order that! I've gotten nothing but compliments on these frames. Excellent frames and service! Will recommend! This was my first experience with buying prescription glasses online. I was extremely skeptical that they could get the progressive lens prescription right. But, right out of the box, the glasses fit perfectly and the prescription was spot on. Great experience. Ordering process was easy. Product is fantastic. Great job.